For the launch of their new product, Aevum Life Science asked Knight Studios to create an eCommerce website with a strong lifestyle feel of a brochure website. Something that didn't feel too clinical and would feel part of a new mother's daily life. For the launch, we designed a full-screen landing page experience that had engaging images, soft and calming transitions, educational information and real talk mother-to-mother – powerful stuff. 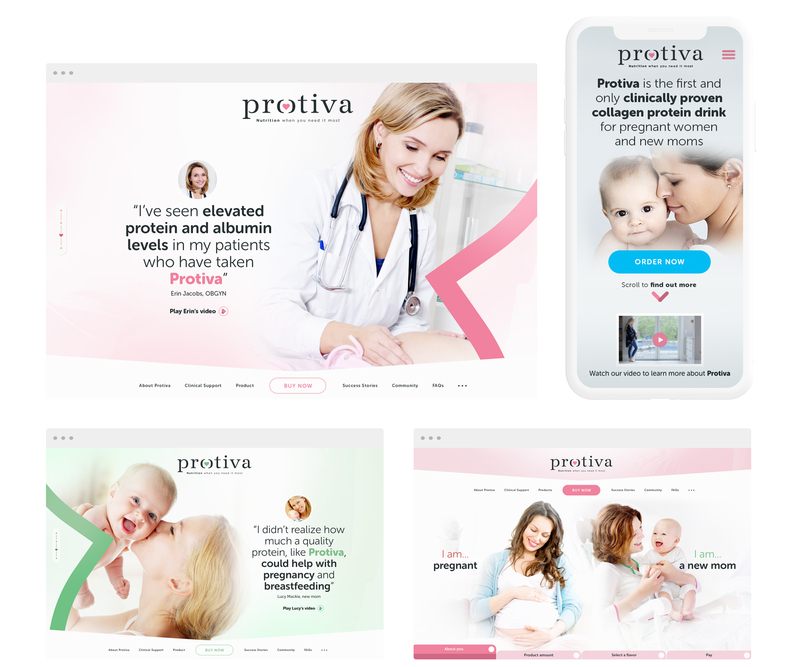 Building on the brand and packaging design we created for the new products – Protiva Pregnancy and Protiva New Mom – we ensured the visual aesthetic was clean and minimal, with a clear focus. A simple step-by-step buying experience was important, while also still retaining that brochure feel. Considered space and empowering, reassuring images helped to keep the the now familiar feel – they are in the right place, this isn't a sales pitch – while only presenting the required information for that step in the process, ensured the user didn't feel overwhelmed. Creating a set of product logos that not only felt contemporary in the pregnancy space, but that also helped tell a story was an interesting challenge. 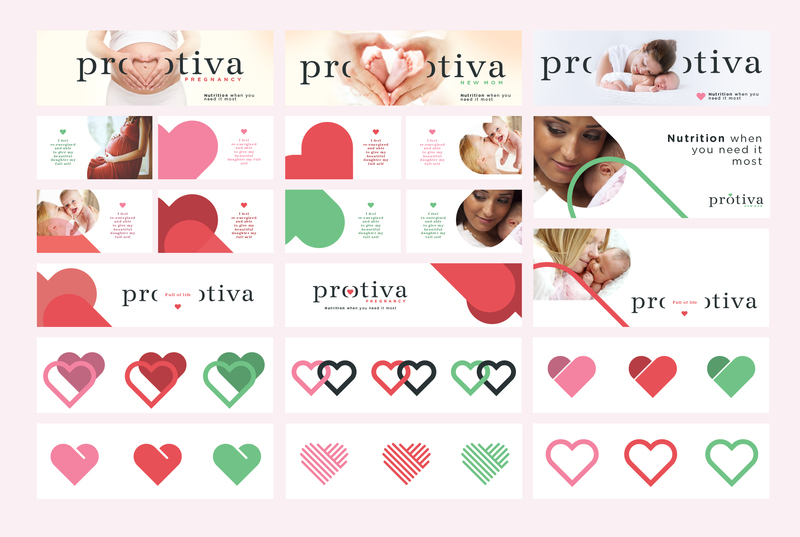 By using the 'O' of Protiva to represent the mother and a heart icon to represent the baby inside (and outside) we were able to effectively communicate the difference between the two products. 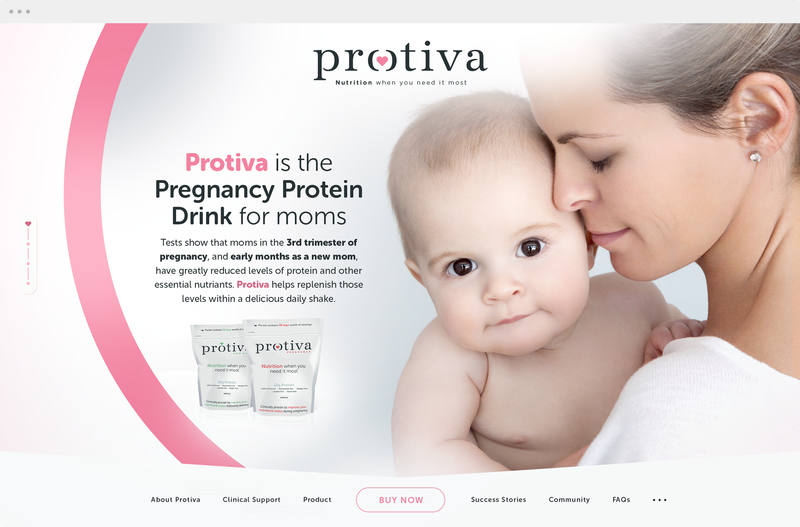 The heart icon also signified both the love a mother has for their baby and also the goodness they are giving them through the two Protiva products. 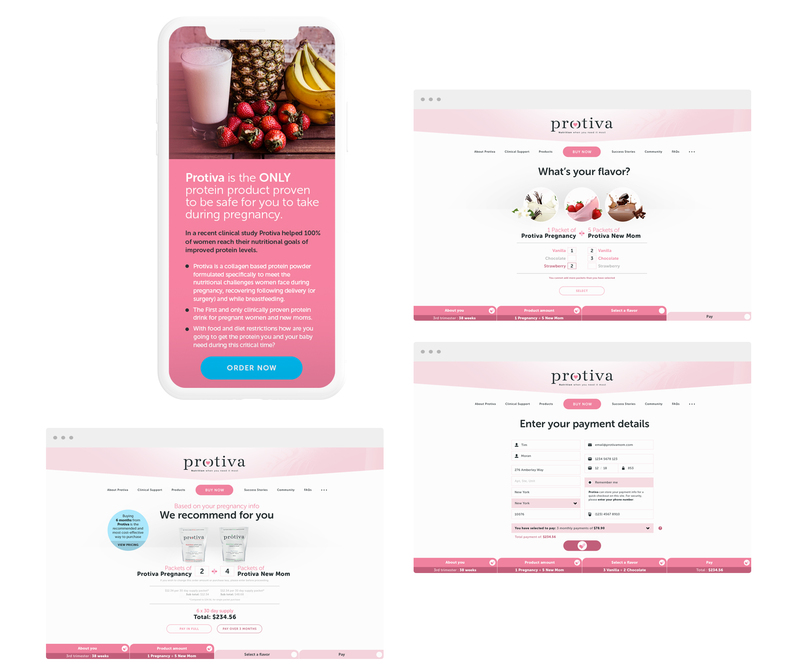 As part of the launch education process, alongside content creation for their social channels, we shot and created several videos to help communicate the key benefits of Protiva. As part of on-going relationship with Aevum Life Science, we continue to create social creative content, digital advertising and marketing collateral.